As we’ve seen this week with the Republican National Convention, it’s tricky to get around downtown Cleveland. 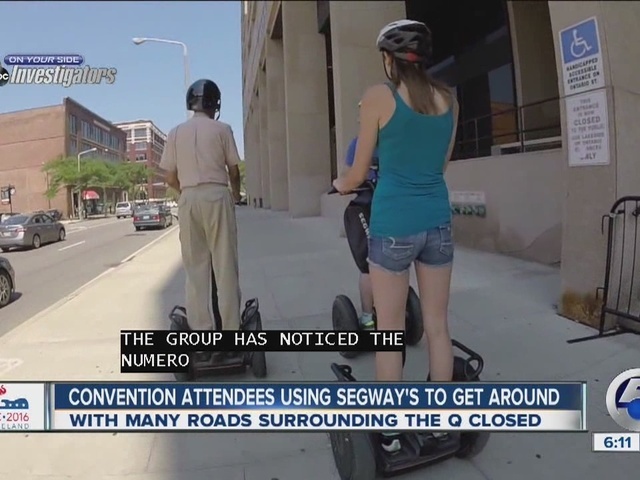 So, people are getting creative by using Segways, skateboards, and bicycles. We noticed one of the racks of University Hospital bicycles was half empty and we could see some of those bright green bikes parked in various spots downtown. Dear mentioned their Segway experience has put thoughts into her new husband’s head. “ First thing he asked was, you know we have to get these now right? We have to get one when we get home,” she laughed. 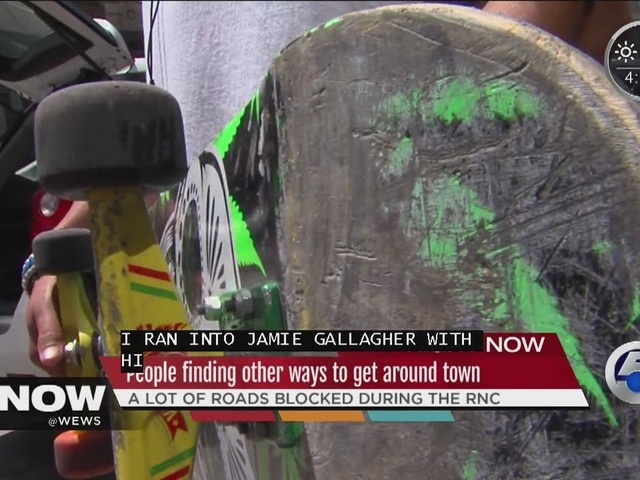 We also ran into Jaime Gallagher striding along with his skateboard on Euclid Avenue. He told us the crowds and traffic have been “ridiculous” with the RNC in town. He said he tried to us the bus system, but he was in a hurry so he improvised a bit. “It was moving so slow. I got off at E. 6th. and I was able to ride my skateboard right to the bank. It was quick as possible. It was unbelievable,” said Gallagher. “I like Euclid right here because I can ride where it says bus only and I can just zoom right by while everybody is sitting there,” he added. Just remember skateboards and roller blades are illegal to ride on downtown sidewalks. Gallagher told us in the past he got a $220 ticket and learned that the hard way.